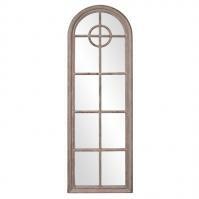 This full length mirror has an arched shape for a classical addition to the space. 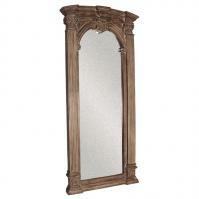 The frame is finished with an aged gray color that gives the detailed carving an outstanding complement. 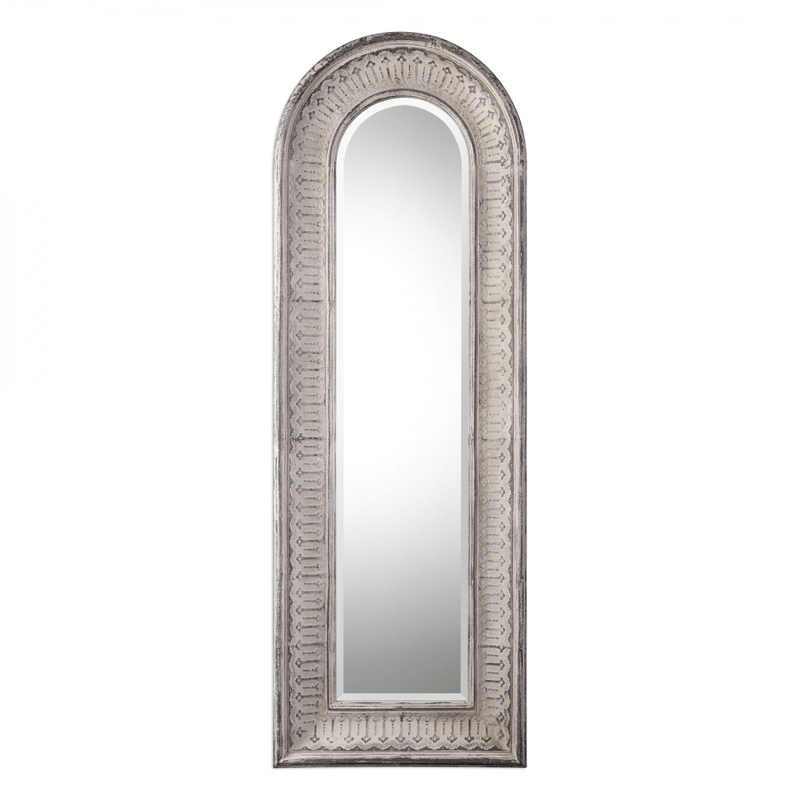 The size of this piece makes it the perfect choice for a dressing area or entry way.